I'm usually not the first one to try a new trend - I tend to proclaim it a fad and go on with my day. But sometimes I cave in and try a new trend ... And I'm amazed! So it was in the case of Harry Potter many years ago, and so it is now, with the smoothie bowl. I'm a convert! 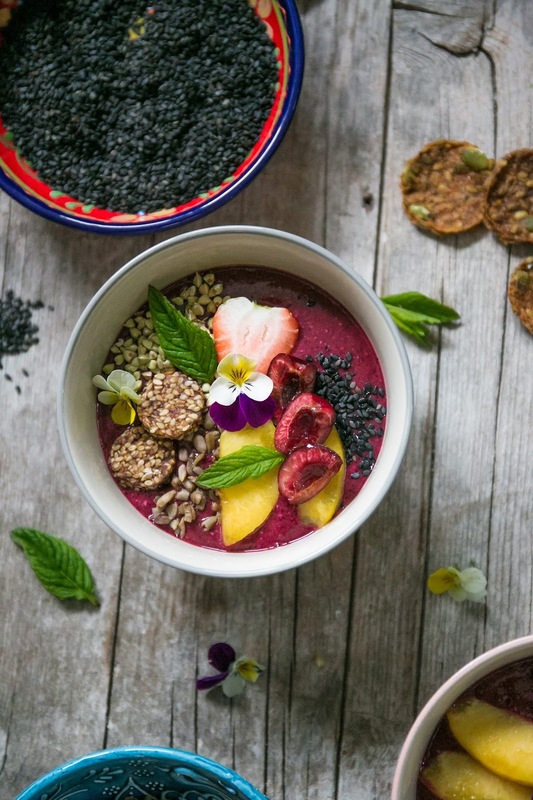 I mean, it is a smoothie with superfood (or just really pretty) toppings, what's not to like? I urge you to try it if you haven't yet. 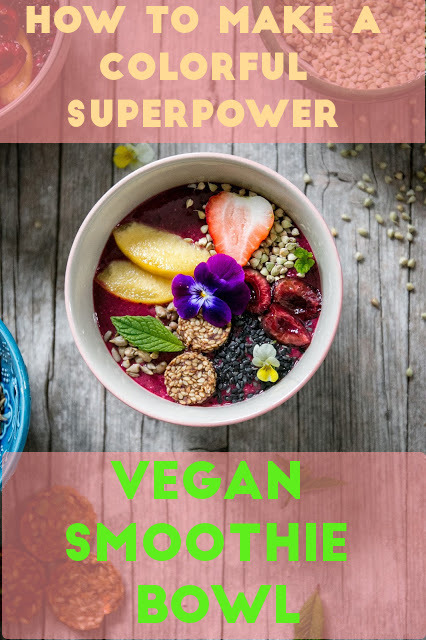 My oldest daughter even "invented" her own super simple smoothie bowl that she calls smoothie ice cream with oats, not very fancy, I guess, but super delicious and - what makes this mama really happy - nutritious. She just tops her smoothie with rolled oats, that's it. I took pictures of this smoothie bowl in the summer, so I topped it with summer fruit, peaches, cherries and strawberries. In the winter, I like to top it with toppings such as persimmon, banana, clementines, and of course dried toppings that are not seasonal, for example black sesame, sprouted buckwheat and sunflower seeds, coconut chips, goji berries ... Like this one here that I shared on Instagram. 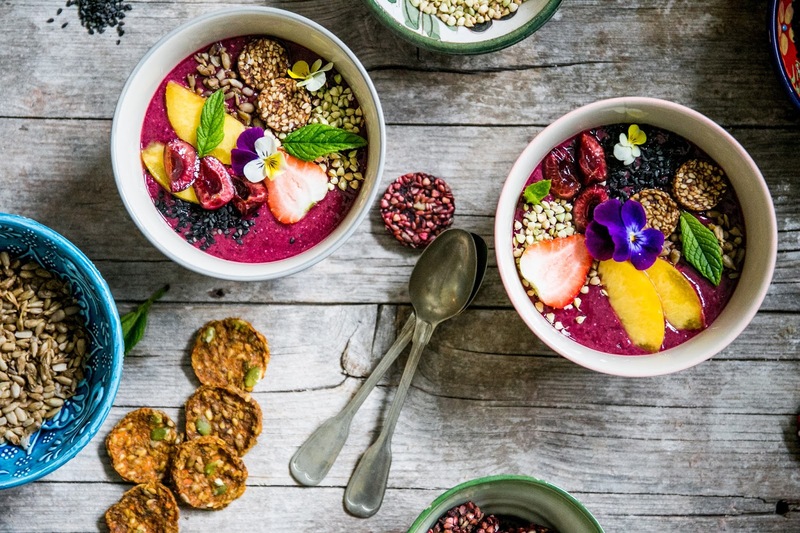 While smoothies make a great take-along breakfast (I used to carry mine to work almost every day in a jar that came with my Nutribullet), smoothie bowls are a little bit more advanced and make a wonderful weekend breakfast treat or a brunch buffet gem. 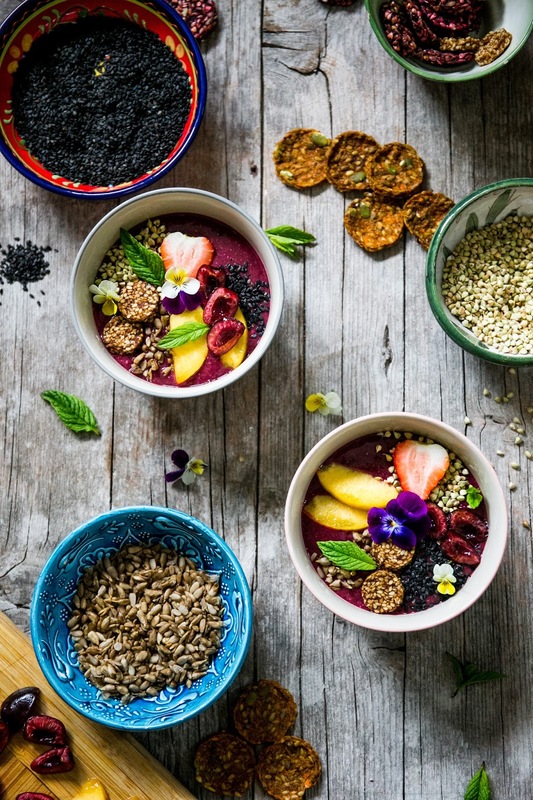 What's really cool about the smoothie bowl is that anyone at the table can make their own kind of smoothie bowl - customize it with the toppings they like. You kind have to take the time to make it pretty to really enjoy it. But it is super easy, I promise. 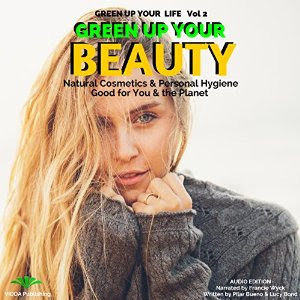 The natural ingredients do all the job. Place smoothie ingredients in a blender, blend for about a minute on high speed. 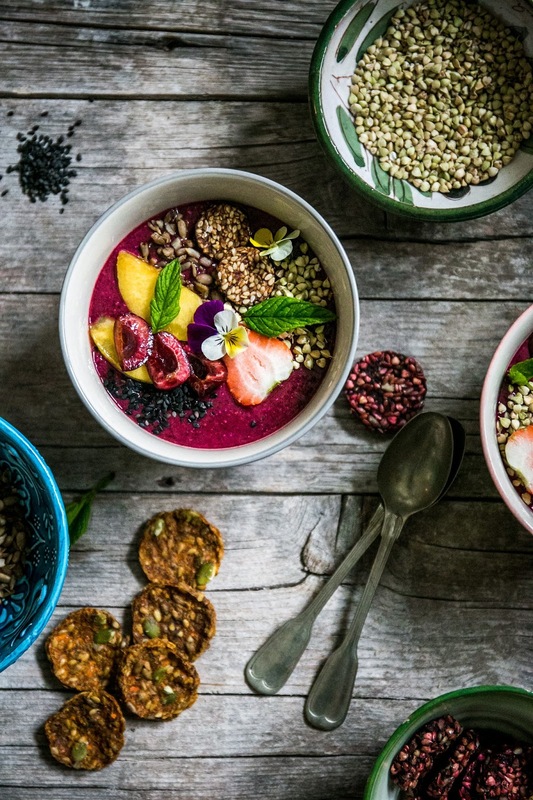 Pour smoothie into pretty bowls (like the ones you use for cereal, or French coffee bowls). Top with desired toppings and garnish with fresh herbs or edible flowers. 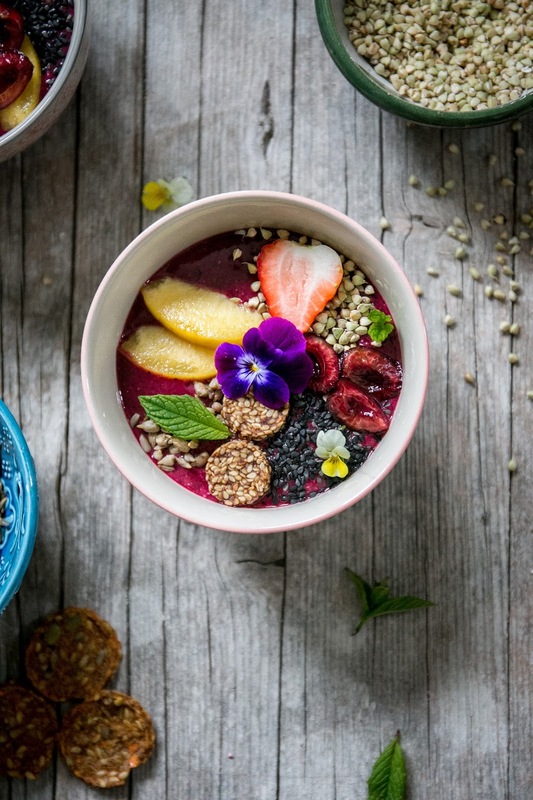 Enjoy the beauty of nature in a bowl! 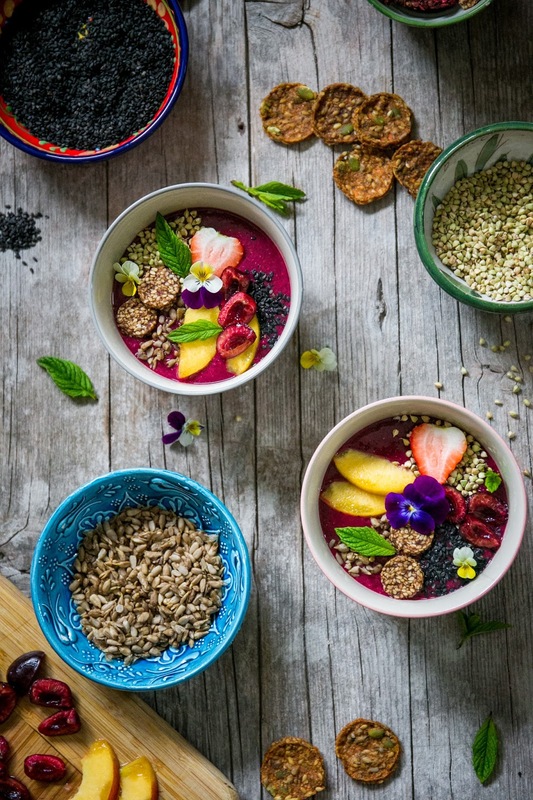 Have you ever tried a smoothie bowl? What do you top yours with? Sabina dear, I missed your comment by a year and a half. So embarassing. So sorry.